Stickgrips - learn the history behind our label in 'about us'. Stickgrips was created by a couple of fitness enthousiasts. They were visiting FIBO, which is Europe’s biggest fitness event, where they were inspired by some very basic rubber pads. They saw this product and they liked the concept of not enclosing your hands inside a glove so they started brainstorming how they could improve this simple rubber pad and create something better. They then reworked the entire design, changing the material from rubber to neoprene to improve flexibility, adding a layer of soft cloth to absorb moisture and add comfort, adding the fingerloops so it stays fixed to your hand, they also added the possibility to customize it with your own logo and choose any combination of colours, making it an excellent addition to any gym or fitness organisation. 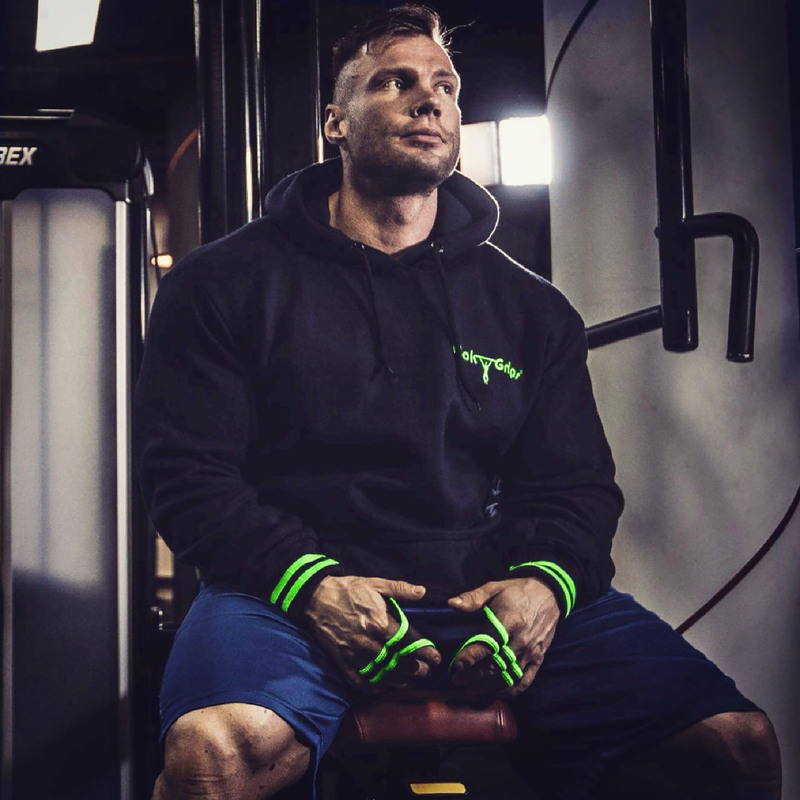 Their aim was to make a product that would protect your hands during a workout while at the same time eliminating the most common problems people have with regular workout gloves. Stickgrips not only offers protection, but also enhances your training. 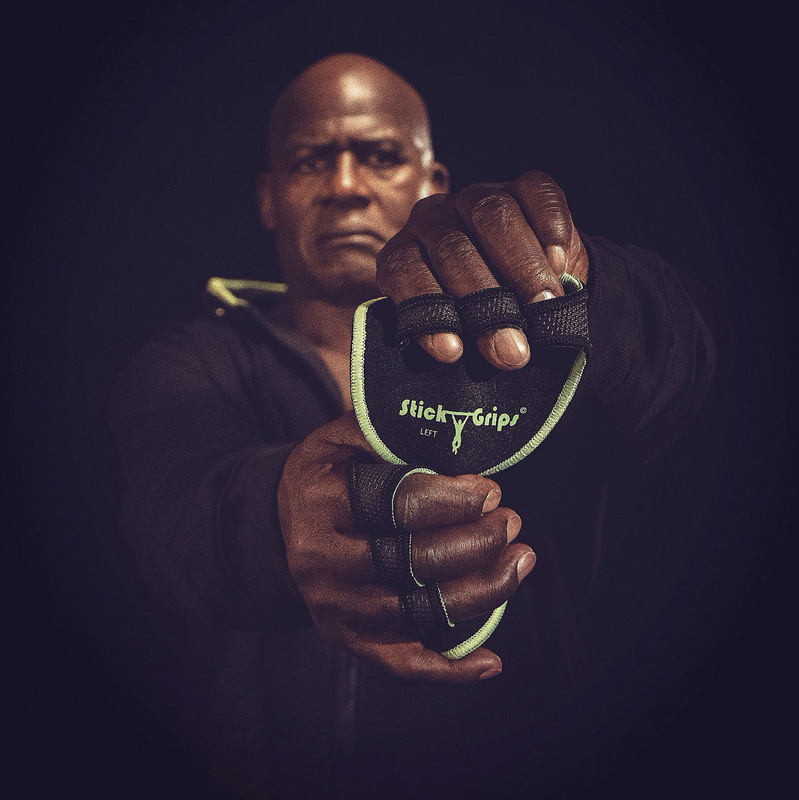 Users of stickgrips have agreed with them, whether they are professional bodybuilders or casual gym-goers, that stickgrips are exactly what they have been looking for. Not only because of the protection they provide and excellent grip, they are also very stylish thanks to over a hundred different possible colour combinations. You could easily match a pair of stickgrips for every outfit, the possibilities are endless. Since the beginning their mission has been to serve everyone that loves working out in a way that would really impact their workout experience. 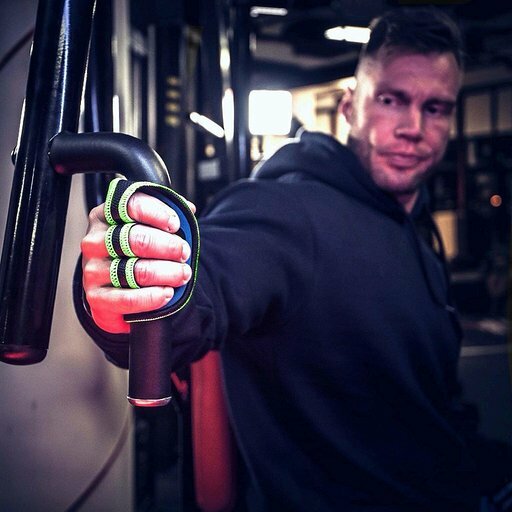 What better way of doing this than by providing the world with a new and improved version of the regular workout glove: Stickgrips. In my opinion, Stickgrips are by far the best quality grip pads available on the market. They also come in many different colours which is a nice extra. I’ve been using mine for over a year now and eventhough they have suffered from intensive training, they are still functional. I will definitely buy them again in the future, great value for your money. I like that Stickgrips are so easy and comfortable to wear. It gives you a strong and firm grip during your training, ideal for strength training where a solid grip is essential. Stickygrips have always been an asset during my trainingsessions. Good grip, feels good on your hand, quality, I've been training with the same grips daily for years now. I’m training for more than 15 years and using ‘stick-grips’ since the beginning. I tried a lot of training gloves but was never satisfied, there’s always something.. Stick-grips lasts the longest and is easy to use!